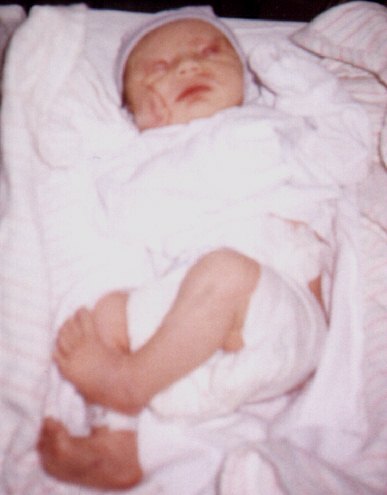 This picture of Noah was taken when he was about six hours old. You can see some of his bruising, which was pretty extensive. Our little Frankenstein's baby got jaundiced when he started breaking down the bruising (which has by now almost disappeared). The doctors tell us he's just fine on this and every other account. Hooray!